Cannot see https link on empty repository if a ssh key has been added to your account. 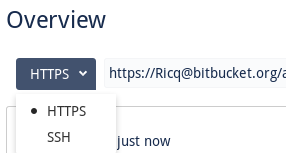 If there is code in your repository you can see this nice select box that allows you see both the https and ssh link for your repository. The problem with this however is that you cannot choose to view the https link of the repository if you wish to use it instead of ssh. The site assumes that because I have ssh keys added to my account I want to always use ssh, but this is not the case. Remove all ssh from your account. It will display the https link instead. Add a file to the repository using the site, which gives back your handy select box. 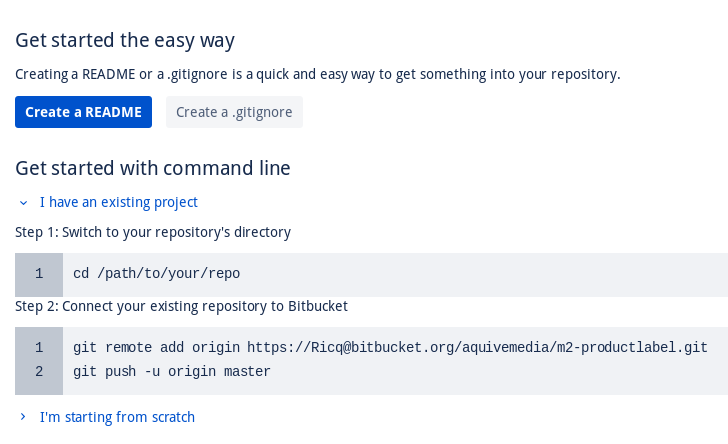 On a side note I vaguely remember this select box being there in the old Bitbucket layout. I would like to get it back.